Well, as mentioned before I’ve found myself with a lot of spare time recently. I’ve been cooking whatever I feel like, whenever I feel like, and here are some of the results. To the right is my Filét Sauerkraut, something I made up during the day. 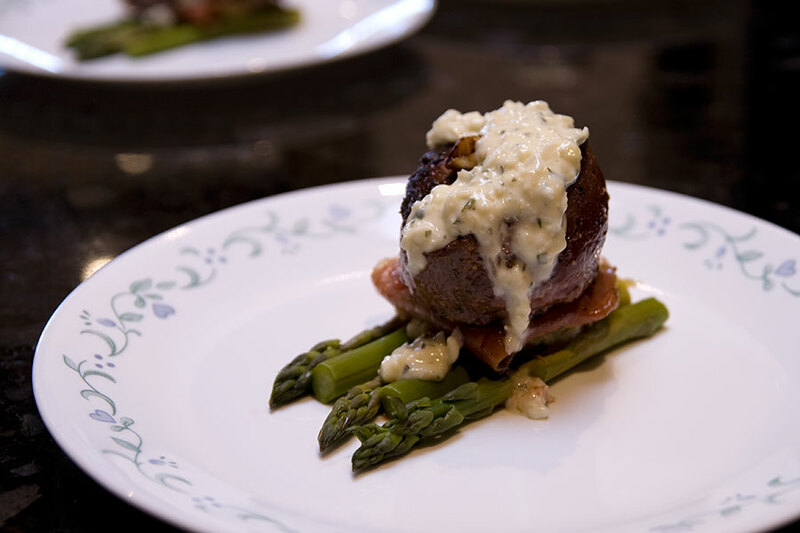 It is: beef filét seeded with a crushed garlic clove, sitting on a bed of prosciutto, which is on a fried sauerkraut cake, which is resting on steamed asparagus. It is finished off with a sauerkraut, garlic and white wine cream sauce. 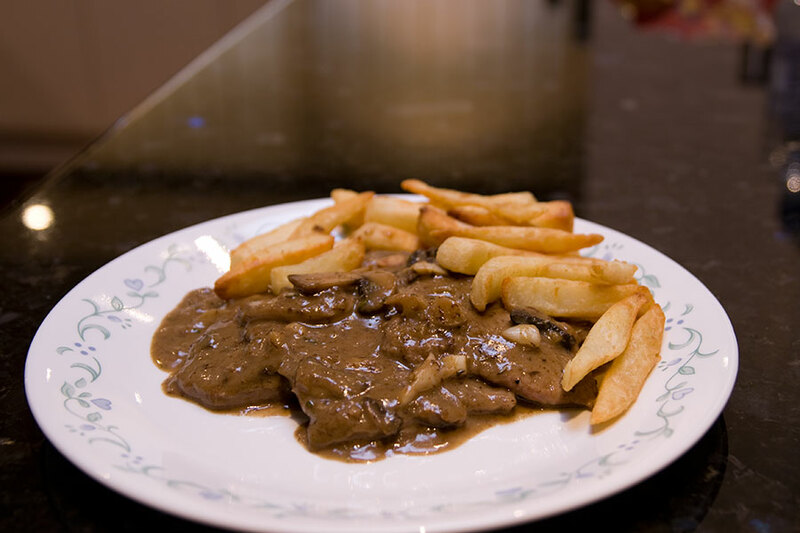 A week or so ago I tried my hand at Scaloppine Marsala. I could’ve made it with rice like suggested, but I prefer to wipe up the leftover sauce with chips :) It mostly turned out okay, but I want to do it again, and add more Marsala wine to give the sauce a sweeter edge next time. I’ve also started writing again. First I wrote his and her circumstances, and while it isn’t particularly good (I was writing for the sake of getting back into writing, to end my dry spell,) there are bits here and there that I like. Next was on the way to kushimoto, a body of work I’m more proud of, which is an edit of an unfinished piece from the end of 2006. The direction changed and the set up changed, so really all that was kept were a few descriptions of the area. Well … that’s it. Until next time. This entry was posted in food, shorts and tagged beef, veal. Bookmark the permalink. That was sad :( The boy/girl one. The ending was a tad creepy, but good. I'm undecided about the second one, and I don't understand what happened after your 'note'? Hahaha for some reason you always really like the ones I don�t think are great, but are undecided about the ones I really like!! !